← My Multiple Family Disney World Vacation was a success. Disney World trip report time. I promised I’d start going through the Multiple Family Walt Disney World trip that my family and I went on this month (December 2013). In all, five families, myself, my three siblings and our parents, traveled down to spend a week together at Walt Disney World. Not surprisingly, we weren’t all able to arrive at the same time. Based on everyone’s work schedule, and the number of days they wanted to stay at disney, everyone arrived in more of a phased approach. Because my Mom and I were the ringleaders of this magical trip, and because we’re Disney nerds, we were there first, staying from Saturday to the following Sunday. Eight days. Arriving first gave us a chance to set up everything, and make sure things were ready for the two families arriving the next day and the third family arriving two days later still. It is a very good thing that we did. When we booked this trip, through the lovely Disney specialist travel agency Mousefan travel, our agent made sure to code things with Disney as “travel with” to make sure they kept all five of our hotel rooms as close together as possible. When Mom and I (and my family) arrived, we found that four of the five families were together in the same building, and the fifth family was half way across the resort. My Mom freaked out just a little bit. (It was all internal, but I could tell). This was also not good. As it turns out someone on the Disney side of the resort booking messed up . I verified with my travel agent, that she had made sure we were all “travel with.” She had even called earlier that week to make sure the reservation was all set and we’d end up together. So, it was entirely on the part of the Port Orleans Riverside folks. 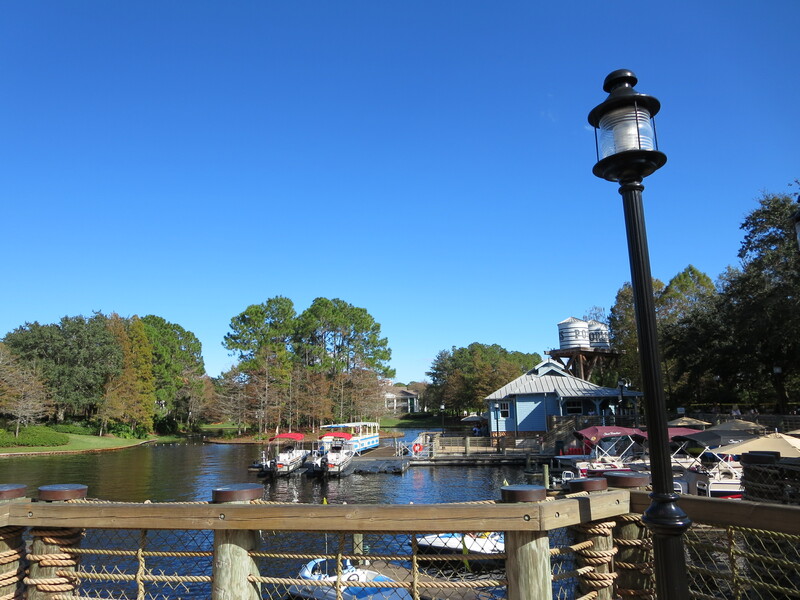 We had specifically chosen the Port Orleans Riverside because we had a couple of families with five, and didn’t want to go up to either the Art of Animation or a Vacation club resort based on price. The trouble was that two of our five families have three children, making for a family of five but only one of them was seen as an “actual” family of five. The second family of five had a two year old as the fifth. At Disney,under three only counts as half a person in resorts and free at park entry. So, the family with three kids over three was placed in Alligator Bayou somewhere, and the rest of us were in the Magnolia bend section. This was not at all acceptable to my Mom. Thankfully, there were two lovely cast members working the check in at the resort, and they worked with the back office (I don’t know what to call reservations, but they had to do a lot of calling to some folks off site) to get us all together. They offered an option (and I think at this point, it was our only option) where my family and my Mom (my step dad was joining us later because he couldn’t get the whole week off of work) had to rooms in one section of the resort (the Magnolia Bend) that first night, then we would move our stuff over to Alligator Bayou the next night, where we’d be joined by the rest of the families as they arrived. They didn’t have rooms all together until the next night. That is what we ended up doing. It was hassle for us, because we had to wait for our bags to be picked up in the morning before heading to the parks, then wait for them to be redelivered when we returned from the parks. But in the end, bell services saved the day and managed to get everything where it needed to be. For the rest of my siblings, they arrived and checked in, then found us in the Alligator Bayou section, never knowing anything had been amiss. In fact, we were all together on the same floor of the same building. The cousins spent every morning, running from room to room as they all woke up. It couldn’t have been more perfect. Everyone enjoyed the resort, and loved the theming over in the bayou section. Hitch one successfully handled. Much love and thanks to the kind cast members at Port Orleans check in who helped me to keep my Mom from having a very bad day and managing to get her kids and grandkids all together. Stay tuned for more Disney magic.